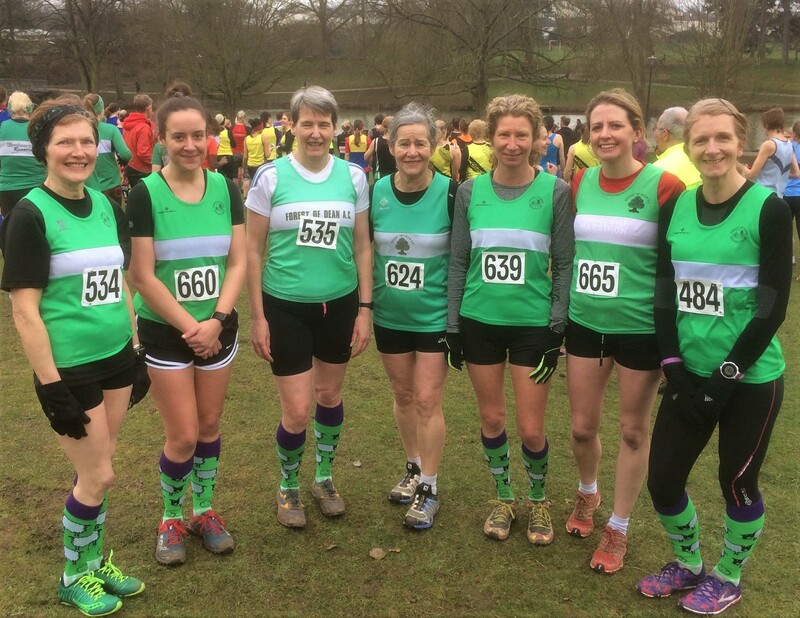 The Gloucestershire Cross-country League is a series of 4 races held between October & February each winter and the final round for 2016/7 was held at Pittville Park, Cheltenham. As it was the final race, the series winners were announced and several Forest of Dean AC runners received awards. Ian Smith won the MV55 category and Jacqui Wynds the LV60 class. Samantha Harris was 3rd in the LV35s. Teresa Tranter was runner-up in the LV65 class. Catherine Roberts and Mick Strange were both 4th in their categories, both 2 points behind 3rd. The men’s senior team was 5th, behind top clubs Cheltenham & County Harriers and Team Bath. In the U20 men, Alex Lindfield was 2nd equal, with John Hamilton 4th, just 1 point behind. Amongst the juniors, the U11 girls team received the bronze medal. The highest placed individual was Izzy Babij in 5th. In the race itself, John Hamilton and Alex Lindfield had a close battle, with John finishing just ahead in 17th place. They were 3rd & 4th MU20s. Mick Strange was 2nd MV60. 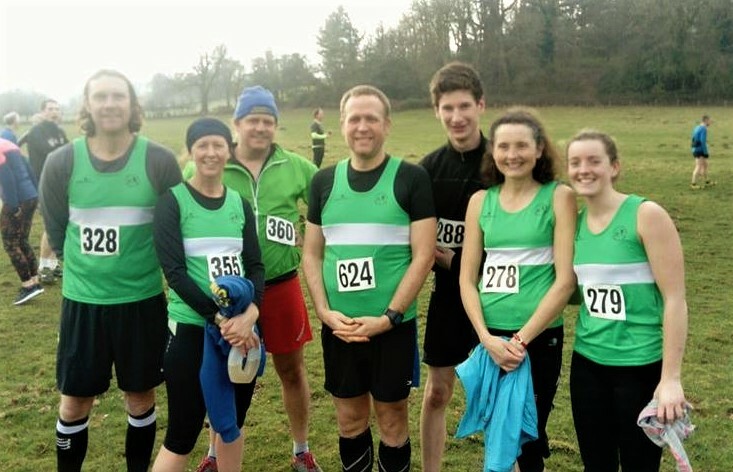 A number of runners took part in the Hatteral Hammer Fell Race. Conditions were must better this year. In 2016, the route was shortened for safety reasons. Mary Hamilton won the FU23 prize in 41.20. The winner was Samuel Gregory in 27.21, a new course record and first lady was Katie Beecher of Les Croupiers in 32.06. Andy Horlick was first FODAC to finish in 35.08 with Debbie Stenner was next in 38.26. Other FODAC times: David Jenkins 42.55; Val Hamilton 44.59 and Chris Munton 46.08. The final race of Rogue Run’s Night Race series took place at Beechenhurst with 230 runners starting. Storm Doris did her best to ensure the event was cancelled, but runners are a tough lot so the race went on as planned. The winner was Darren Bishop of Pontypridd Roadents AC in 37.00 and Alice Taylor of Spirit of Monmouth RC was first lady in 40.52. Forest of Dean AC collected a number of prizes: Helen Brown 44.06 was 2nd lady & 1st FV40; Dan Sandford 38.49 was 3rd MV40; Cherry Fowler 48.24 3rd FV40; Andy Thorpe 45.42 3rd MV50; Sherryl Hall 50.47 2nd FV50 and Jacqui Wynds 62.23 3rd FV60. The team of Helen Brown, Cherry Fowler & Catherine Roberts were 1st ladies. Other results: Steve Harris 42.32; Ben Robbins 43.22; Andy Horlick 43.42; Cory Sherwin 44.36; Ian Morgan 45.18; Michael Marks45.50; Catherine Roberts 49.26; Andy Morgan 49.29; Rob Lester 51.08; Mel Ruck 52.40; Daren Smith 52.44; Neville Turner 54.08; David Jenkins 54.22; Jo Edwards 54.27; Phil James 55.39; Stef Francis 60.43; Gemma Hewitt 60.43; Vicki Sims 60.55; Emma Parsons 61.37; Michelle Peacey 62.35; Vanessa Pegler 62.55; Liselette Adams 63.02; Anne Kirk 63.33; Karen Barnett 66.38; Peter Covington-Jones 66.38Jo Babij 68.00; Sarah Bucknall 68.30; Suzanne Peters 71.14; Miriam Paris 71.27; Vicky Wilson 71.44.